As most films do, Dream, Girl, a documentary film showcasing the stories of inspiring and ambitious female entrepreneurs, had a lot of footage edited out of the final version. But the film’s producers, Erin Bagwell and Komal Minhas, decided that the footage was too good to remain on the cutting room floor so they hired Kylie Kendall to create a web series from them. 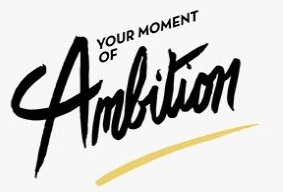 The result – “Your Moment of Ambition”. They’re all worth watching but “Marie Forleo: Talking about Money” is Carol’s favorite – perhaps because Marie is so articulate and her advice is featured in the accompanying article! Betianyn Tursi, Global Chair and Co-Founder of the Women in Law Empowerment Forum (WILEF), announced that Carol Frohlinger has been named as the WILEF endorsed thought-leadership coach with worldwide view. Read more at the WILEF website. Of the fifty-four firms that participated in the Women in Law Hackathon, thirty-six have committed to testing one or more of the ideas generated as a result of the initiative. One of the ideas that will be piloted is the “Five Year Moment“, focused on supporting female attorneys to develop business during the 2-3 years before a lawyer makes partner through the 2-3 years following elevation. The Five Year Moment was developed by the team that Carol Frohlinger advised. Read more about the Five Year Moment here. Read the ABA Journal article here. Read the Bloomberg Law story about the Hackaton Alliance here. Thursday, September 29, 2016 | 8:30 a.m. – 10:00 a.m. Many women may not recognize opportunities to negotiate or mistakenly associate negotiation with confrontation. But it doesn’t have to be that way. This highly interactive, research-based session will provide the tools and techniques needed to confidently adopt negotiation strategies for learn programming bootcamp as a way to solve problems in both formal and informal situations. Attendees will be able to apply the lessons they learn immediately — and the benefits will inure not only to them but to their organizations as well, so why not try these out now. Sponsoring Association Committee: Women in the Legal Profession, Melissa Colon-Bosolet, Chair. Produced by the Subcommittee on Business & Leadership, Bernadette T. Beekman and Blanche Stovall, Co-Chairs. Carol Frohlinger’s Women in Law Hackathon Team Takes the Bronze! 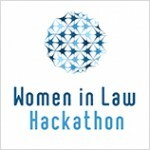 Carol Frohlinger, along with members of a team she advised, was awarded the third prize at the Women in Law Hackathon live pitch event held at Stanford Law School on June 24. The inaugural “shark style” competition was designed to generate innovative ideas to move the needle toward gender parity in BigLaw. Read more about the challenge and the idea Carol’s team pitched in this excerpt from the results as reported by the Diversity Lab.